Claimed by Michael J Prendergast Doug Fletcher and 3 others. 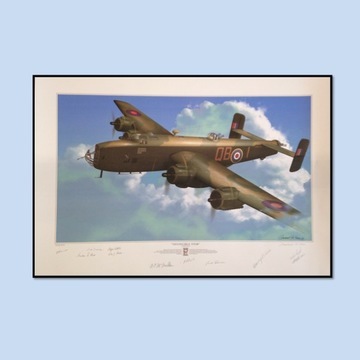 "Invincible Item" Halifax print, signed by (11) Halifax aircrew and the artist. Ted Turner - rear gunner - Campbell River, B.C. W.D. Walsh KIA in a Halifax of RCAF 408 Sqn. Michael Guthman DFC - mid-upper gunner - Vancouver, B.C. A newly published book (188 pages) on all aspects of the design, history, and combat career of the Halifax bomber, the "jack-of-all-trades" bomber of the RCAF and RAF in Bomber Command. Included is information and great photos on all the survivor Halifaxes in existence and their restorations. 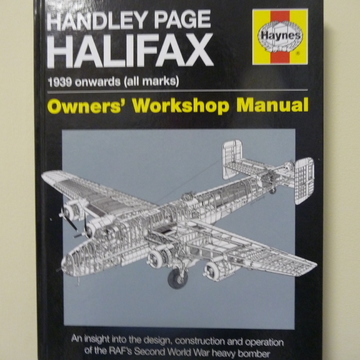 This book is straight from the publisher Haynes to Halifax 57 Rescue who contributed to the making of this excellent historical and technical book on the Halifax. 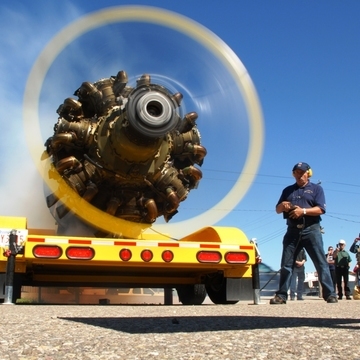 By your donation, you can become one of a very select few Halifax Project supporters and fans with the opportunity to start and help run our Bristol Hercules engine on site at the Bomber Command Museum of Canada in Nanton, Alberta during engine runs events! You will be given a full safety briefing and operational procedure instructions so that, under supervision, you will be able to start and participate in a Hercules engine run with our "Halifax crew" team. A great opportunity to be part of the 3-man team that runs the historic Hercules radial engine that powered the famous Halifax, Stirling, and Wellington bombers of WW2! 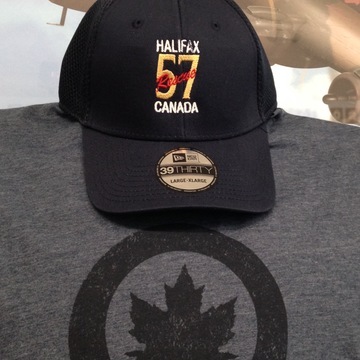 Halifax 57 Rescue is an aircraft recovery group that is planning to recover RCAF Halifax HR871, with our partners Swedish Coast and Sea Center and Havsresan of Sweden, from the Baltic Sea for the Bomber Command Museum of Canada in Nanton, Alberta.